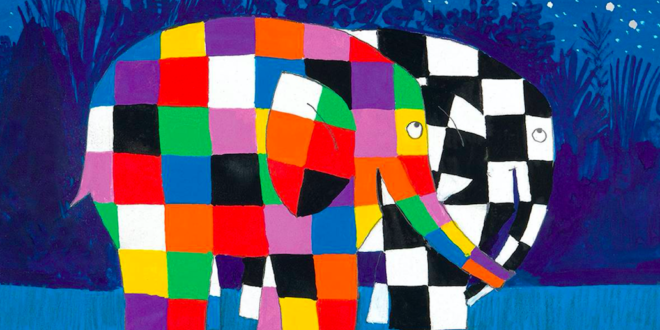 The London Symphony Orchestra is getting in on the act of celebrating 30 years of Elmer the Patchwork Elephant with a birthday tribute through a musical re-telling of the latest book in the Elmer series. In partnership with Anderson Press, publishers of the Elmer series, LSO musicians will perform the tribute in a telling of the title Elmer’s Walk, featuring specially commissioned music by the composer Lillie Harris. Two performances will take place at The Jerwood Hall in LSO St Luke’s in London. The partnership is the latest in a series of new events-based initiatives to celebrate 30 years of this popular children’s book character this year. Performances will take place on June 23rd at 10am and 11.30am in a concert that will offer children a chance to experience a live performance as they sing and dance along. Paul Black, PR and brand director, at Andersen Press, said: “We’ve worked in collaboration with London Symphony Orchestra for a number of years now, but this is the first time we’ve worked with them on an Elmer story, and there’s no better time to do it as we celebrate 30 years of Elmer. Other event partners involved in Andersen Press’ 30th Birthday celebrations for Elmer include; Wild in Art for Elmer’s Big Art Parades family sculpture trails; anti-bullying charity Kidscape, for whom Elmer is the ambassador for Friendship Friday; Seven Stories The National Centre for Children’s Books with ‘Elmer & Friends’, the first retrospective of David McKee’s iconic illustration work, and Rockefeller Productions for its Elmer Live Show, which is touring the UK in 2019.